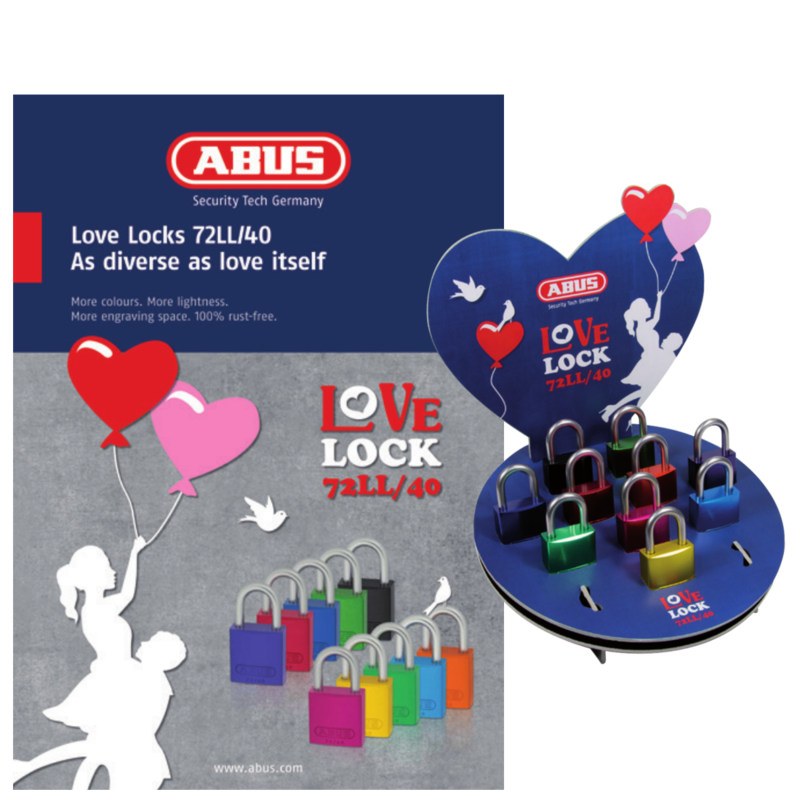 Attractive range of accessories for in-store promotion of the Abus range of 72LL/40 love locks. Accessories include counter top padlock displays as well as wall and ceiling posters. All promotional material is supplied without padlocks.